(CNS): In the wake of last year’s scandals, the members of the Caribbean Football Union (CFU) met in Willemstad, Curacao, this week for an Extra-Ordinary Congress where members adopted the new CFU statutes. 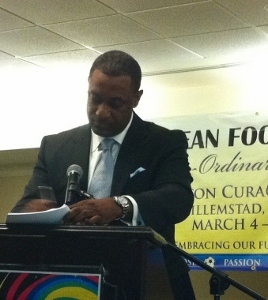 Jeffrey Webb, Chairman of CFU Normalisation Committee and President of the Cayman Islands Football Association (CIFA), said the three day programme was extensive and included a delegation from FIFA, supporting the initiative and providing one-on-one development sessions with each member association. The programme also included meetings of the Legal, Football and Finance Committees. 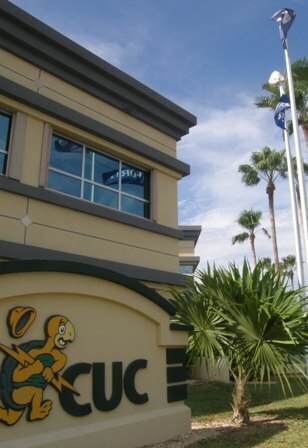 According to officials, the legal committee had spent the past two months developing a comprehensive draft of CFU Statutes and collaborated with the member associations to ensure they were involved in the review process, prior to arriving in Curacao. A thirty page semi-final draft Statutes was presented at the Extra-Ordinary Congress, which was reviewed to allow member associations a final opportunity to contribute, share concerns or provide alternate wording, until the document was adopted and approved in its entirety. (CNS): Professional local squash player Cameron Stafford has been given cash from the government’s ‘Nation Building Fund’ to train and participate in ten tournaments back to back in Australia, government officials have revealed. GIS said in a release that Stafford aims to raise his world rankings, so he can graduate to the big, prestigious tournaments with his ultimate goal to be the world number one. Starting at 408, in the last five months his world ranking has increased to 239. The 2011 Caribbean under-19 squash champion and Island Games silver and bronze medallist has been given US$ 11,500 and says he looks forward to making his country proud by improving his game. 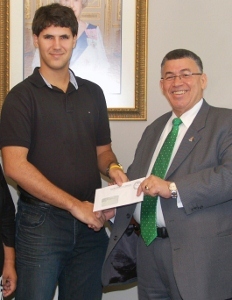 The premier handed over the grant cheque to Cameron recently stating he was very proud of the “rising star” who he said joined “a praiseworthy group of world-class young Caymanian sportspersons,” as he added that it was “precisely for such instances” that the Nation Building Fund was created. Stafford’s prior victories include two Caribbean junior champion trophies, the regional under-17 gold as well as helping the Cayman boys’ team garner the team gold. He says he now hopes to improve his game, so he can qualify to play in the New York tournament which he considers one of the best in the world. His anticipates his participation there will be all the more sweet since the Cayman Islands is one of the silver sponsors of the tournament. Before finding his niche with squash Stafford tried his hand at cricket, football, baseball, sailing and tennis. Since he turned 13, he as dedicated mush of his day to playing, viewing and learning about squash. Stafford credits his success so far to his dad John Michael Stafford, originally from Guyana and a former Olympian in sailing, his Caymanian mom Janie and his ex-coach Dean Watson, who at one time was ranked 81st, worldwide, as a squash player. The Cayman Islands Squash Club was a second home to Stafford as he worked on his game, attended a number of world tournaments, and witnessed first-hand how the pro-tour works before deciding to join it. “I thought long and hard about going pro and am totally grateful that my parents backed me all the way,” he revealed. You can follow Cameron and his playing on Twitter@squashpro92 and on Facebook by clicking on the like bar on his page: Cameron Stafford Athlete. (CNS): Ninety six early year practitioners from both public and private kindergartens and nurseries have now completed the education ministry’s Early Years Introduction Course facilitated by the Early Childhood Care and Education (ECCE) unit. Government officials said the course provides base level training in order for practitioners to “provide a strong foundation” for the children they work with. The ministry has emphasised the need for all children to have a strong foundation and reform of the early years is a priority area in the education reform ministry officials have said. Last month 12 practitioners in Cayman Brac and 84 from Grand Cayman who work with preschool babies and toddlers from 6 months to five years of age, received certificates to say they had completed government’s course. Education minister Rolston Anglin said great teachers can inspire young minds, and young people, despite their circumstances, can prevail. “I am so pleased at the number of you that have completed the initial training and thank you for all of your diligent work and your continued support to the Early Childhood Curriculum.” He added. 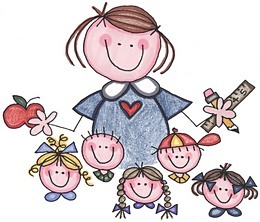 “You nurture and support our children from infancy to primary levels. Your training shows you the best practices to implement in each of the centres and I applaud you all for participating,” McKeeva Bush added. (CISC): The Harbour House 12 Mile Banks and Back race was organized by the Cayman Islands Sailing Club on Saturday February 25th 2012 and the cruisers took advantage of good winds.Perfect conditions blessed the first cruisers race of the year which was sponsored by Harbour House Marina. Only five boats made it to the starting line with some last minute withdrawals due to missing crew or unready boats. When going offshore it is highly recommended that boats are adequately prepared and amply crewed. The course was roughly 50 miles long and the first boat across the line, Java Knight, finished in just under four and a half hours. The next three boats all finished within 40 minutes of each other. The winner on corrected time was Pie Seas 3, skippered by Jonathan Cuff, his first podium position with his new boat. Mr Cuff said, “My boat was better prepared than inthe past and I had some knowledgeable crew on board which made a difference”. It’s always been fun to take part in Cruiser races but it’s even better to get a trophy”. It was also a first podium for Russ Sager and Decadence 1 who took third place. Brando had to withdraw as they only had two on board but at least they kept their mast intact this year. The competitors expressed their thanks to Peta Adams, Mary Caley and Terrie Farrington for doing Race Committee and to Harbour House Marina for their support. 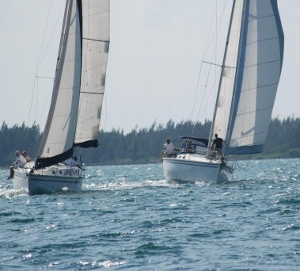 The dates for the 2012 Cruisers series are: Sunday 25th March, Saturday 5th May, Sunday 24th June, Sunday 15thJuly, Sunday 9th September and Saturday 3rd November. The other two major races for the Crusier fleet for 2012 are the Easter Round the Island (April 6th) and Beach and Back (Sep 22nd). 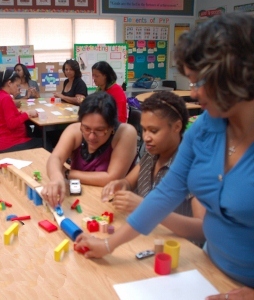 (CNS): Teachers across the Cayman Islands were asked to both ‘care’ and ‘inspire’ in their work during a conference that focused on national strategic priorities, sharing good practice and connecting with children. Government’s information service said tin a release that educators were encouraged to seek the highest standards for students at the ministry of education workshops held on Monday at the Mary Miller Hall. Rolston Anglin the education minister told teachers the theme of the conference drove to the heart of any education system. “It speaks to where you as teachers engage children to become lifelong learners,” he said. “You have an awesome responsibility to come up with ways to teach, care and inspire….We empower you in your position and expect all of you to care to develop our kids into future leaders,” he added. Officials from government said that throughout the conference, each of the teachers participated in over 60 workshops, many of which were delivered by educators currently in the government system, touching on areas that included the curriculum, behavioural studies, technology and even our culture as it is related to discipline. Premier, McKeeva Bush was also there and offered his backing for the teacher’s training session. “Supporting our teachers’ professional development is a critical step to keep up to date with new resources and tools to allow our children to be ready for the future,” he said. The Key Note Speaker, was Patrick George Smith, Associate Vice President from Northern Caribbean University, who asked the educators to dream the impossible for their students. “The future doesn’t happen, we create it. Recognize and respond with your students’ feelings. You are the ones that will shape the reality for your students and always remember if the standards are clear and the process is there, your students can make it,” he said, according to the release from GIS. (CNS): Experts from the government’s Mosquito Research & Control Unit (MRCU) are warning of an increase in the numbers of mosquitoes over the next week after high seas and rain have combined to flood the swamps. MRCUDirector Dr. William Petrie explained that the higher than normal population of swamp mosquitoes is because of the favourable breeding conditions created by this flooding. Although the unit is equipped and ready for the surge in numbers of the pest Petrie asked for the public’s patience as his staff go on the attack both on the ground and in the air to reduce the numbers. “Staff are prepared to deal with the issue but at the same time we want to advise residents on Grand Cayman to expect a higher presence of mosquitoes for the next week or so,” Petrie added. Tides in Grand Cayman have been rising over the last few months and are now at a level that produces flooding in the swamps, he explained. Tidal fluctuations plus a recent rainfall event have led to favorable breeding conditions for the swamp mosquito. The swamp mosquitoes (Aedes taeniorhynchus) lay eggs in the swamp mud which may survive in a dormant state for long periods of time. Rainfall and tidal increases inundate the eggs which hatch into larvae very quickly. Larvae will feed and grow and within 7 to 10 days pupate and emerge as adult mosquitoes. 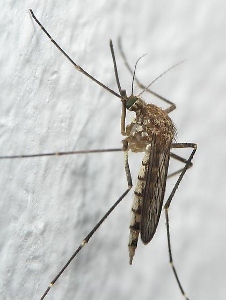 The male mosquitoes do not bite and only survive for a couple of days. The female mosquitoes, which do bite and become a nuisance to the public, can survive for up to 15 days. The females seek blood for egg production and will lay numerous eggs back onto the swamp mud. The director said that the MRCU has a proactive surveillance program that monitors the swamps for favorable breeding conditions and the presence of mosquito larvae. MRCU operational staff will deal with the mosquito emergence utilizing a fleet of truck-mounted foggers and the customized spray plane. The Aedes taeniorhynchus mosquitoes migrate into residential areas during the evening after sunset and the early morning before sunrise. Truck-mounted fogging and aerial spraying target the Aedes taeniorhynchus mosquitoes during these high activity periods when the female mosquitoes are seeking a blood meal and biting ferociously. MRCU will be monitoring the emergence closely and scheduling appropriate island-wide control activities during the week and into the weekend. For any questions or to report high levels of nuisance biting in your residential area contact MRCU on 949-2557. 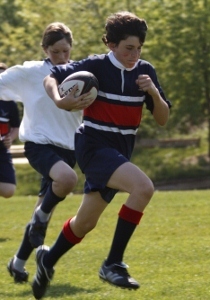 (CRFU): The Cayman Rugby Football Union will not only play host to Dartmouth University in the coming weeks but will also welcome the return of Holy Trinity School from Ontario Canada.Holy Trinity School is a co-educational Anglican independent day school located north of Toronto which enjoys a rich history of Rugby at girl’s level as well as u14, u16 and senior boy’s rugby. Holy Trinity were last in Cayman in 2005 to be the first touring side the Cayman Rugby Union hosted post Hurricane Ivan. The young Canadians tookhome not only fond memories of swimming with Stingrays but their new found Cayman Rugby experience saw Holy Trinity win their local Rugby championship, a feat Holy Trinity hope to re-produce in their up-coming season. 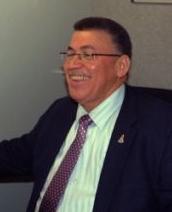 (CNS): The premier says he has written to the Anti-corruption Commission about the PPM’s former Cabinet minister Arden Mclean, whom he accused of not paying his power bill for over a year during the time he was negotiating a licensing agreement with CUC in the last government. McKeeva Bush told a public meeting in Bodden Town on Thursday night that McLean had admitted on radio recently that he did not pay the bill and if this was true, it meant he had used his office for personal gain. Taking aim at the opposition, who he said was accusing him of corruption and incompetence, he said he had "on his armour now", as he revealed the request for the investigation. Bush also said that he would be asking for anti-corruption enquiries into the opposition leader, Alden McLaughlin, and another PPM member but gave no details on who or what he believed the others had done. In an ironic twist, Bush made no mention of the actual ongoing investigation into financial irregularities over his dealings with developer Stan Thomas but suggested that the opposition had the audacity to point the finger of corruption at him and were using it as a red herring in order to get back into office. The premier said that McLean should explain to the country, if what he admitted to on radio was true, why he did not pay his electrical bill. “Should that be an investigation Mr Arden? So you want an investigation on me giving East End $200,000 for projects – he didn’t have to pay his light bill but you have heavy ones to pay,” he told the audience. Reading from his letter to the police commissioner, who is chair of the Anti-corruption Commission Bush said he wanted the commissioner to look into the failure of McLean to pay the CUC bill when he was in office and dealing directly with the power firm in his role as minister responsible for utilities. “After all that has been said in this country about corruption and the use of public office for private gain and conflict, I would ask that this matter be investigated by the Anti-corruption Commission,” he said quoting from the correspondence to David Baines. “I want to tell at least two more of them that I have twomore letters that I want to give to the commissioner but I am just getting the facts,” he added. He later indicated that one of the letters he would be sending to the police commissioner was about Opposition Leader Alden McLaughlin. He queried why there were no investigations into various issues from the PPM administration, such as the money allegedly stolen by the former UCCI president, Hassan Syed, the Matrix scrap metal deal and the expenditure on the schools. “All kinds of financial infractions and process took place in that contract,” he said about the high school projects, which were awarded to Tom Jones International, which is now embroiled in a legal dispute with government. In a speech that lasted close to two hours and gave very few updates on government projects and policies but was very heavy on political rhetoric, the premier launched a full scale attack on the opposition, as well as the various activists that are opposing government policy. The former PPM minister admitted that he had been in dispute with CUC over power bills but just like everyone else he had to pay. “There is nothing criminal or corrupt about paying your bill late when you are in dispute about the amounts,” McLean stated. "I am sure any investigation into that will be over very quickly as opposed to the criminal investigation into the premier,” he added. See more on CNS later today from the Bodden Town meeting and the Keep BT Dump Free Coalition demonstration. (CNS): Premier McKeeva Bush says he wants to create a Cayman Islands ‘disaster defence force’ once the country is in a position to afford it. Speaking at the official inauguration of the customs new crime fighting equipment this week, Bush revealed his wish list for when the country is better off financially for further crime fighting and security measures. He said it was a long standing goal to create Cayman’s own special cadre of personnel that would work alongside the RCIPS in special circumstances, such as in the wake of a hurricane or other emergency situations, to protect the public. He said one day, when government had the finances, Caymanians would be trained and recruited into the country’s own defence unit that could be there when needed in the wake of disasters and emergencies. “I consider that we ought to have our own cadre of defence force personnel that would work with the police when needed,” he said. Talking about how much money the government has already invested in crime fighting, he said there were many more things that he wanted to see that would help to keep the islands safe, not just from the threat of crime but natural disasters. He spoke about getting even better and more sophisticated protection for the borders with a national radar system so the emergency services would know “what was coming down on us” and be able to have the helicopter, boats and other emergency resources available in the right place. “These are costly things,” he said but he added that his government wanted to move forward with them. “But we need these services and one of these days we ought to have the funds to … supplement the police with these services,” he added.